Masala Lemon Rice / Nimbehuli Chitranna is a very popular breakfast recipe in Karnataka.The name masala is used here because fresh coconut and spices are blended together to prepare lemon masala paste / nimbehuli gojju . Later cooked rice is mixed with lemon masala paste / nimbe huli gojju to get tangy masala lemon rice / nimbehuli chitranna. Generally , lemon rice is a easy and quick tempered rice with lemon.But this recipe is slightly different as lemon masala paste is used here .This is very similar to MTR lemon rice paste but tastes better as its fresh without any preservatives. 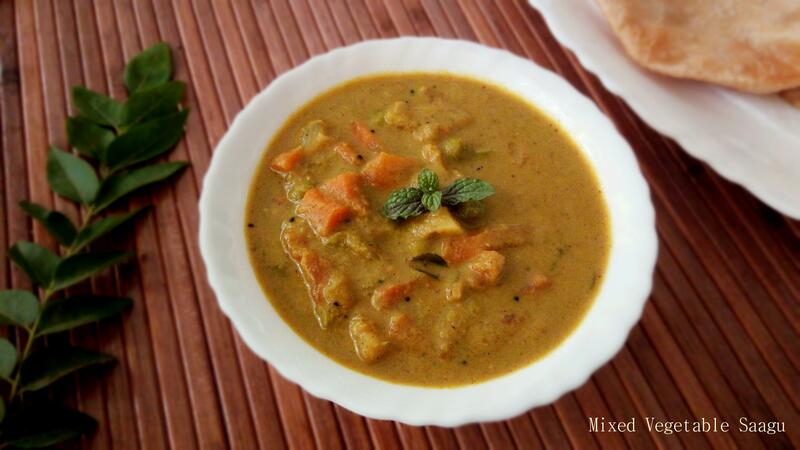 Lemon masala paste / gojju can be prepared ahead and refrigerated , it stays good for 3-4 days. Wide varieties of chitranna/ lemon rice are prepared because each home has their own recipes .This kind of chitranna / lemon rice generally makes its appearance in religious ceremonies of Karnataka. I am planning to share series of Lemon rice recipe ,which i’ll be doing it in future. In this recipe, using garlic is optional. You can prepare this with or without garlic , its left to one’s preferences. Other Karnataka Style rice varieties recipes on blogs are : Tomato Bath ,Vegetable Pulao , Avarekallu Bath , Moongdal Rice , Pongal , Bisibelebath . Lemon Rice - Origin from Karnataka : Cooked rice is mixed with freshly ground coconut based masala paste and lemon juice. 1 tsp salt or as required. Wash and soak 1 cup of rice for 10-15 minutes.You can use any kind of regular rice like sona masoori , jeera rice or basmati rice. Cook rice by adding 2 cups of water , 1 tsp of oil and 1 tsp of salt, keep it aside.You can either pressure cook rice , use rice cooker or cook in an open pot. In a mixer chutney jar , add 1/3 cup of fresh coconut , 1 tsp of jeera / cumin seeds , 3/4 inch ginger , 3 medium size garlic cloves , 2 Tbsp of coriander leaves ,pinch of turmeric powder and 2-3 green chillies ,depending on the spice level.Grind to coarse paste without adding water. Take a deep cooking pot/pan or kadhai or wok ,heat 2 Tbsp of oil ,add mustard seeds . Allow it to crackle , add curry leaves ,dry red chilli, ground nuts , chana dal , urad dal and fry till it starts changing colour. Add grounded masala paste and fry well on medium heat , till oil starts releasing from corners. Turn off the heat. Add 1/2 Tbsp lemon juice , salt and mix well. Mix in cooked rice ,1/2 tsp of salt ,1/2 tbsp of lemon juice and coriander leaves . Mix well everything and serve . In a mixer chutney jar , add 1/4 cup of fresh coconut , 1 tsp of jeera / cumin seeds , 3/4 inch ginger , 3 medium size garlic cloves , 2 Tbsp of coriander leaves ,pinch of turmeric powder and 2-3 green chillies ,depending on the spice level. Grind to coarse paste by adding very little water,if needed. Take a deep cooking pot/pan or kadhai or wok ,heat 2 Tbsp of oil ,add mustard seeds . Allow it to crackle , add curry leaves ,dry red chilly broken into pieces fry for a while. Add ground nuts , chana dal , urad dal and fry till it starts changind colour , add grounded masala. Fry well masala on medium heat , till oil starts releasing from corners. Turn off the heat, add lemon juice , salt and mix well. Add in cooked rice ,1/2 tsp of salt ,1 tsp of lemon juice and coriander leaves,mix well. 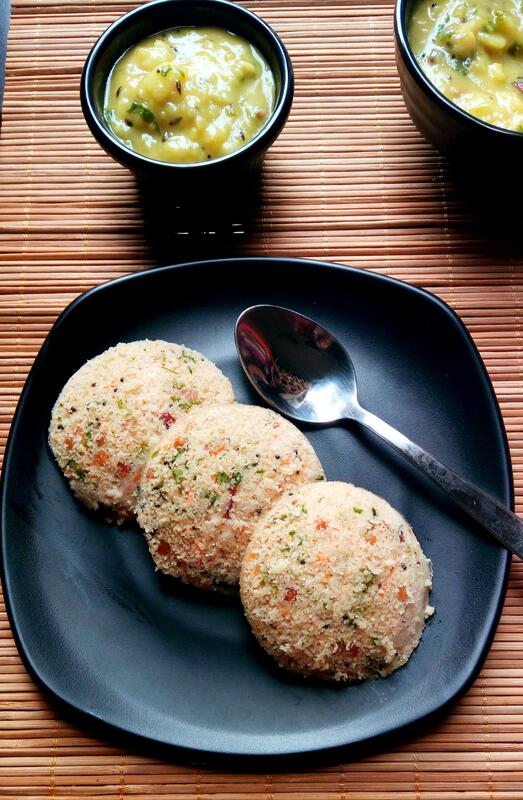 Serve with coconut chutney and potato or raw banana fritters.